Brand new for 2018, Warrior Sports has unveiled their fourth iteration of the Ritual line dating all the way back to the Ritual G1 which debuted in 2012. Building off of the massive success of the G3, the G4 is built to bring ultimate performance, function and durability all while being the lightest gear on the market. 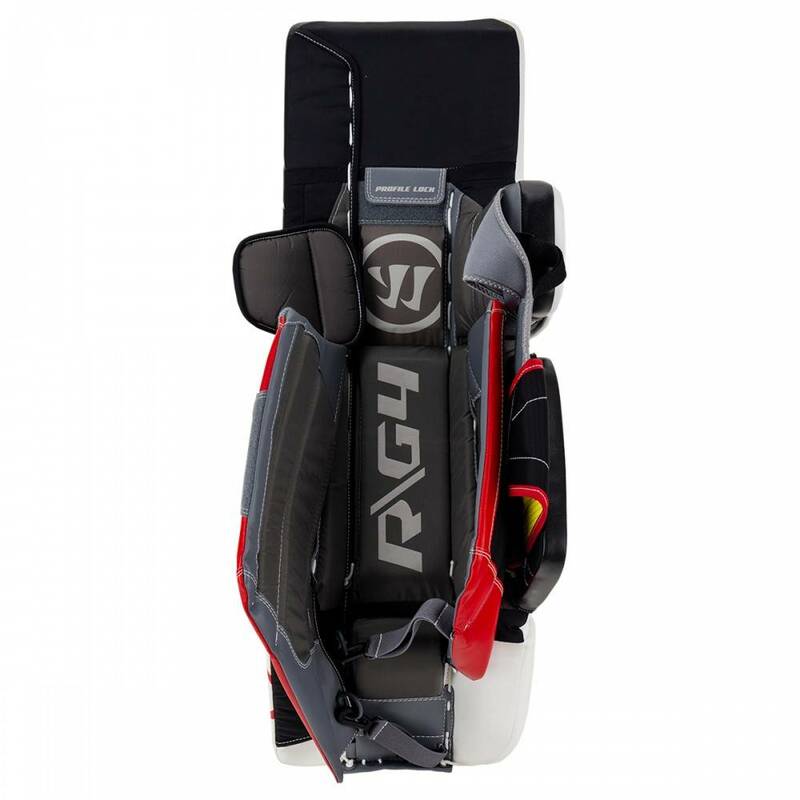 Starting with the inside edge, the Ritual G4 now features AIRslide technology which features two main channels across the knee wing and three channels across the inside sliding edge. AIRslide is designed to decrease friction by reducing surface area that contacts the ice. 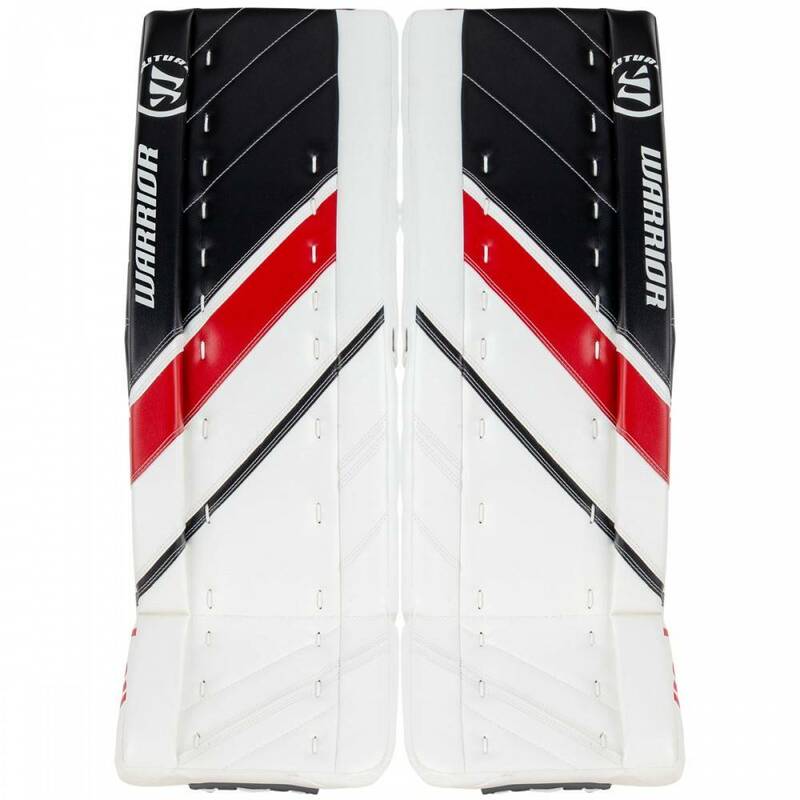 Not only will the AIRslide promote sliding on clean ice, but it will help drive the goalie for consistent slides even on rough and snowy ice that shows at their end of a session. 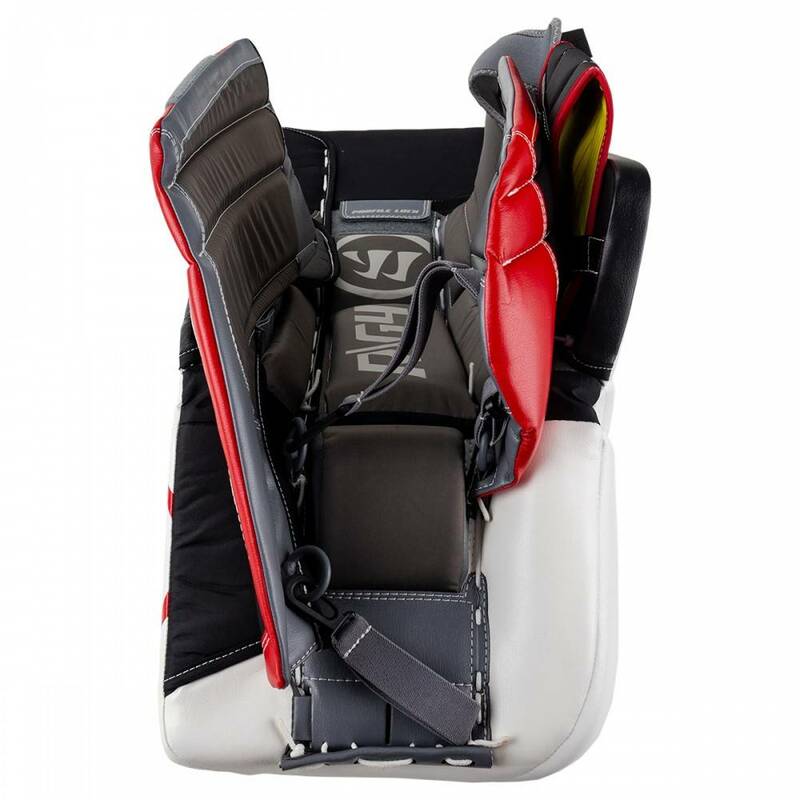 Next, there are micro adjustments on the strapping and leg channel of the pad, which features removed foam along the connection point on the back of the pad which will make the pad will sit a bit looser on the outside of the leg, without having to loosen up the straps. 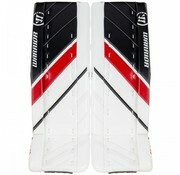 This will allow the pad to hang and drop faster to the inside edge, thus promoting faster closure of the five hole. The name of this new technology is their 360 degree Active Drop system. Lastly, the large outer calf strap is now adjustable which gives the goalie the opportunity to choose a tight connection to the back of the pad or a looser which, all depending on their preference. 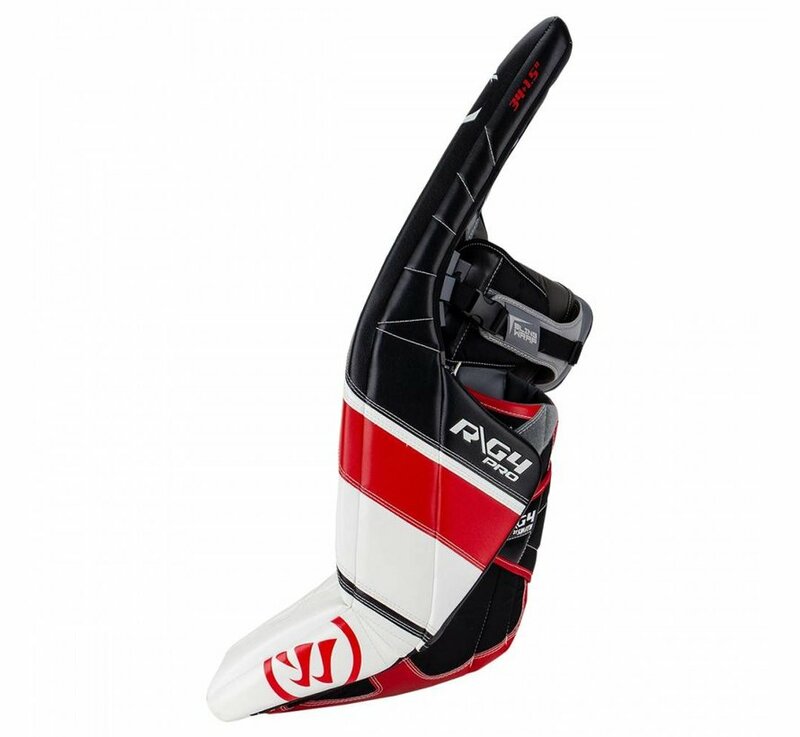 On the outside of the calf, the G4 now features a newly redesigned outer Post Wedge which is thinner like the GT but features the same shape as the older G3. This design provides enough support and closure on the back of the leg and provides more comfort when in the butterfly or RVH. 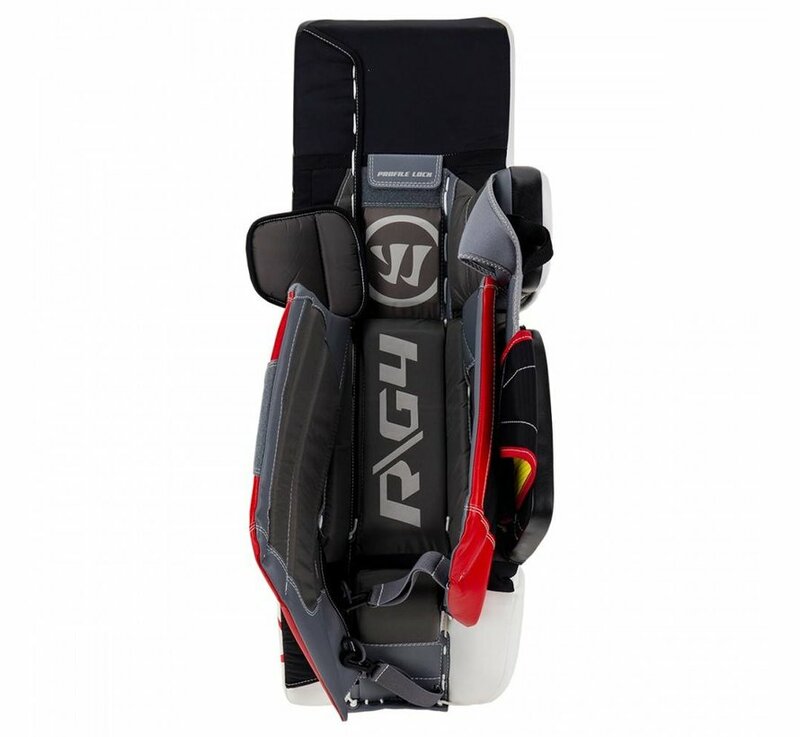 The knee stack and neoprene sling wrap setup is now a stiffer setup to give the goalie a more stable butterfly and aid in the positive sliding qualities in the AIRSlide. 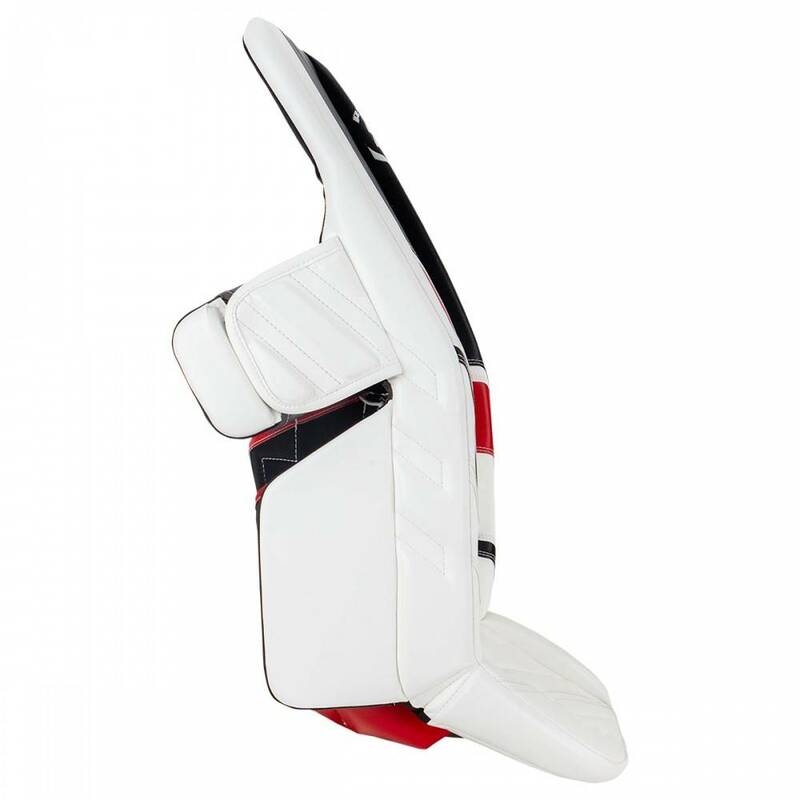 The outer knee flap can be adjusted in a wider location, giving more adjustment options for goalies that wear larger knee pads but do not want to angle the knee strap down to the calf. Moving through to the face of the pad, Warrior has added HyperComp material throughout the entire face adding rigidity and shape to the pad. This addition helps the pad flex and curve, but it will not breakdown or settle throughout use. 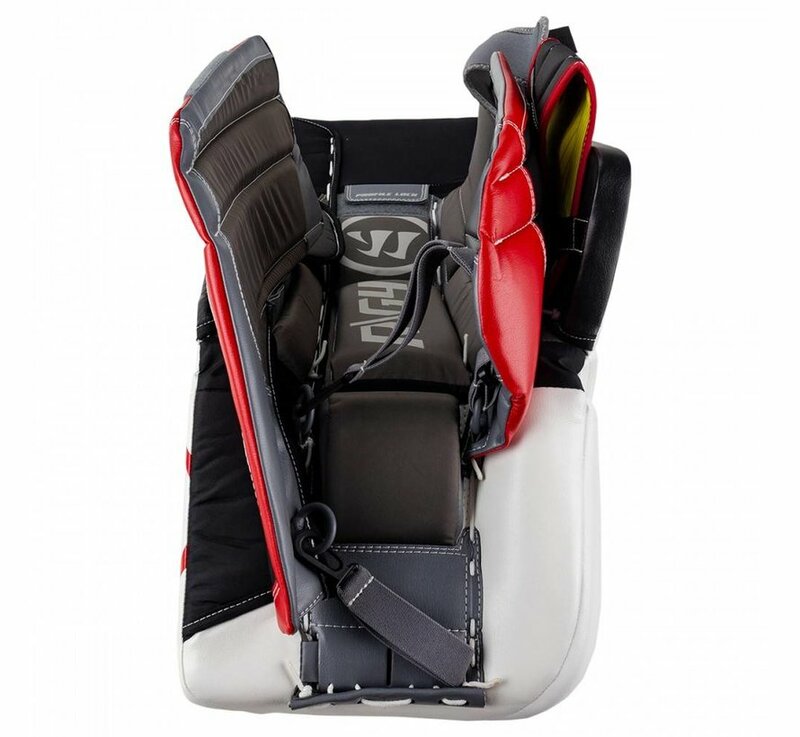 Throughout the toe section of the pad, the G4 pad comes stock with Active Response toe and boot straps which will give the goalie a tight connection with proper stretch to give the goalie crisp movements. Finishing off the pad, there is a wider visual look which is due to the new graphic placement coupled with the thinner outer roll. This specific technology is named the RVH Optimized outer roll which features distinctive designs conducive to better RVH positioning/locking. 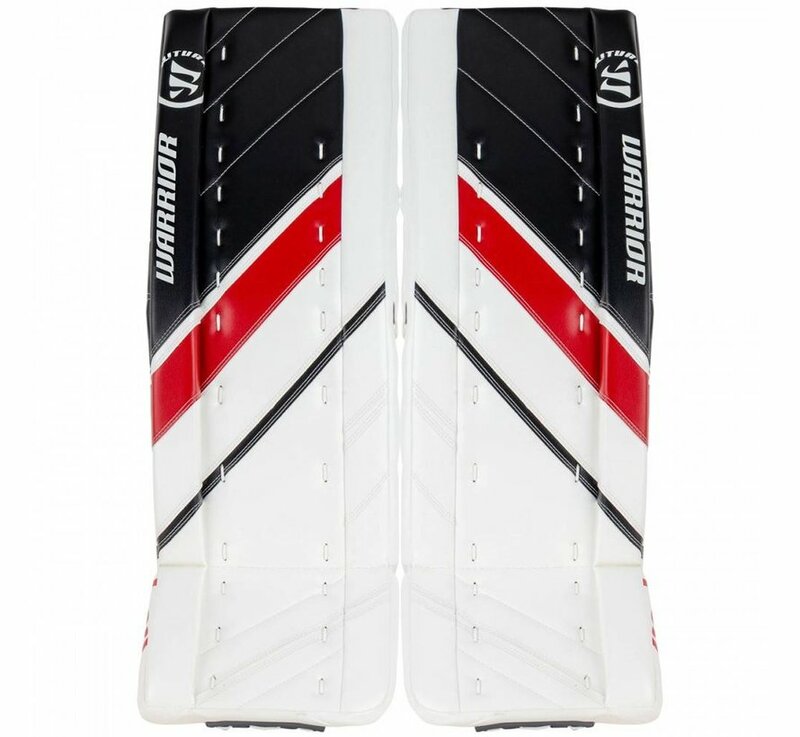 The outer roll stays thin at the top of the pad and thin down by the shin and boot to give a good seal and overlap at the thigh and reducing the negative open space created by conventional outer rolls, when sealing the post in RVH. 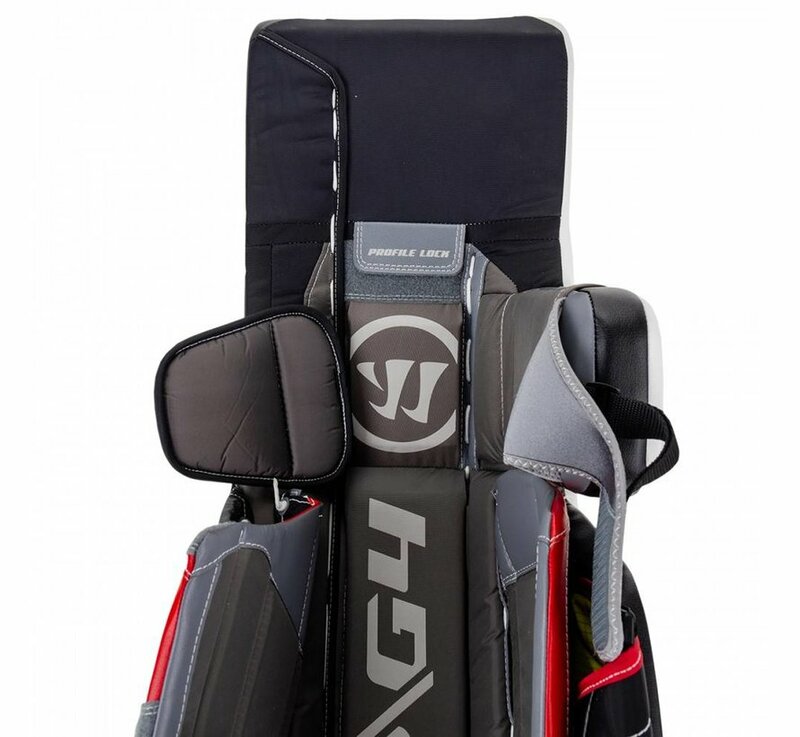 In comparison to the Warrior Ritual G4 Senior leg pads, the G4 Pro will feature upgraded internal foams including HyperComp. 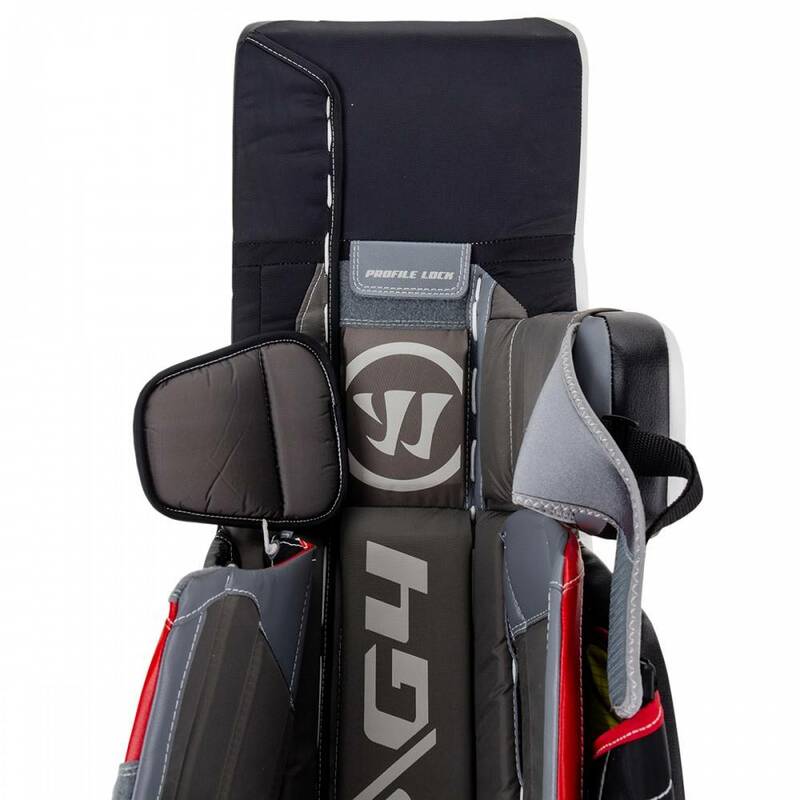 If you are a goalie who is looking for the lightest pad on the market, coupled with leg channel and sliding improvements, the Warrior Ritual G4 Pro Senior is the pad for you.